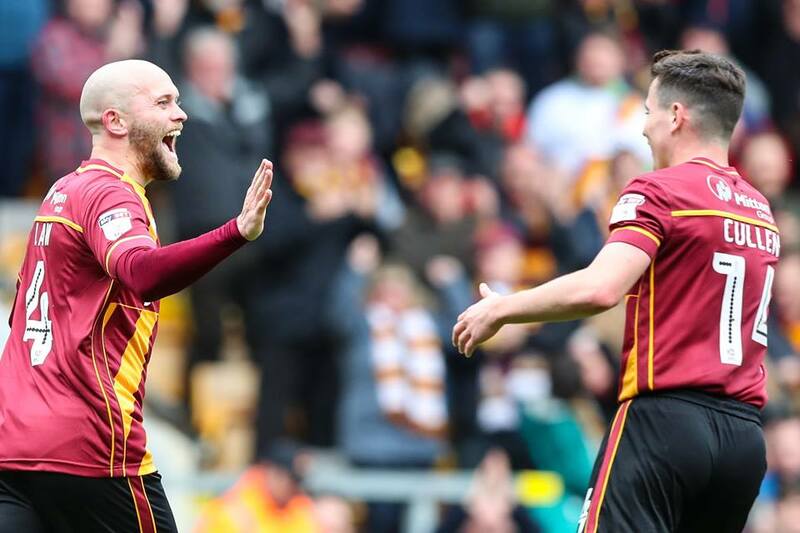 One more point does it for Bradford City. A play off finish will be guaranteed, and with it the excitement of a two-legged semi final and the opportunity to go to Wembley. It will be only the fifth-time in the club’s history they’ll have reached the play offs, with two Wembley wins and two semi final defeats their mixed record so far. Moments like this are rare dots when judged against City’s proud 113-year history. 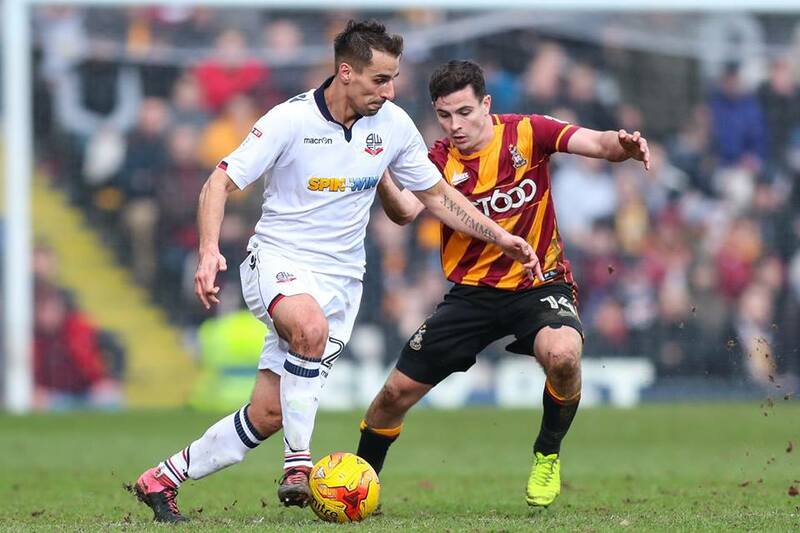 Over that time, the Bantams have only won promotion nine times. There is still a lot of work to do to claim the 10th, but Stuart McCall’s side are getting close. These are the occasions we should enjoy and savour. It shouldn’t matter that City have stayed in the top six since August. The chasing pack have more than made a game of it, and actually finishing inside the play offs has never been a given. 12 months on from big change at top to bottom, that City are close to achieving a second successive shot at the play offs is a considerable achievement. One that everybody connected with the club should feel proud of. 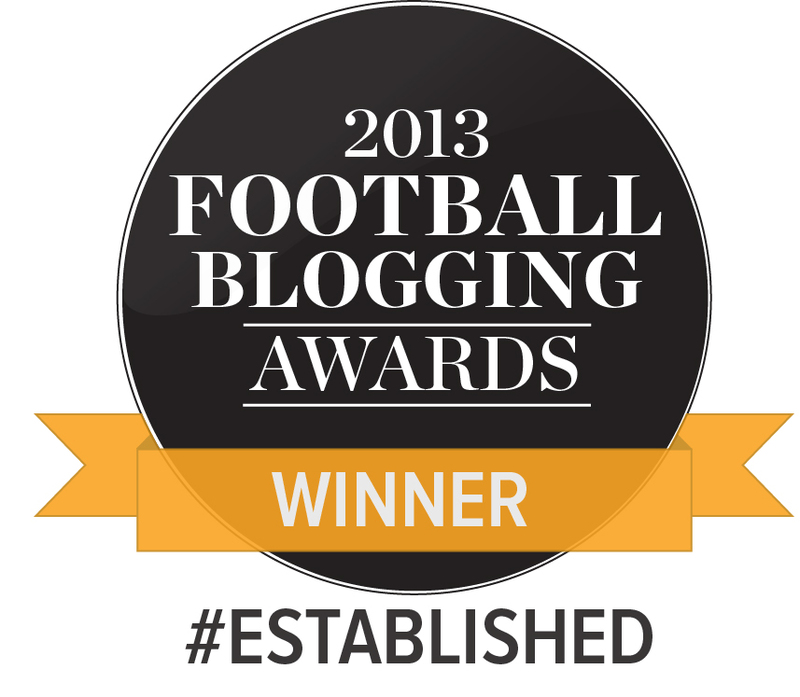 The 3-0 thrashing at Sheffield United has left a sour taste in the mouth, but the visit of Wimbledon offers the chance to put it behind us and celebrate a season’s good work. The growing nerves that we supporters have felt over these last few weeks will only heighten during the play offs, but you wouldn’t want it any other way. 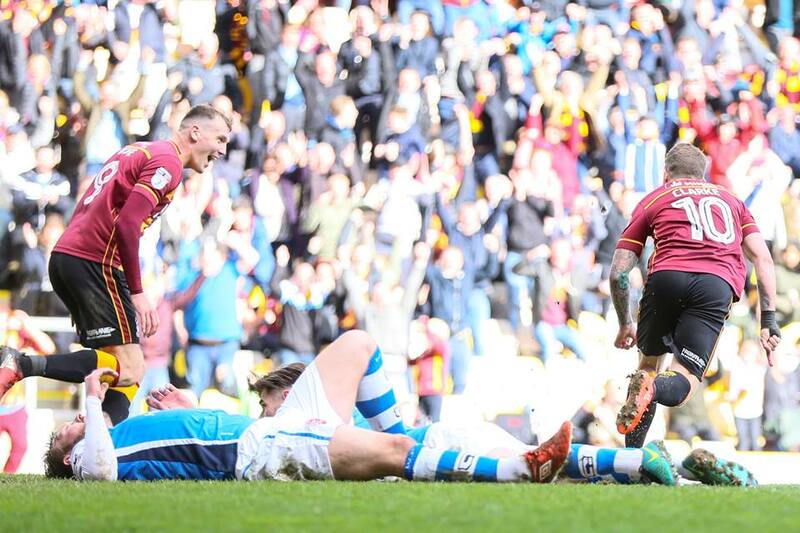 This is a terrific time to be a Bradford City fan, and Saturday could prove to be another moment to treasure. The penultimate weekend of League One is a big one for teams at the top and at the bottom, with only three of Saturday’s 12 fixtures not having something riding on it. Three of City’s play off rivals face trips to strugglers, with Scunthorpe United at third-bottom Swindon Town, Southend travelling to Shrewsbury Town, and Fleetwood venturing down south to Gillingham. Rochdale have a big derby with an Oldham side who are virtually safe. 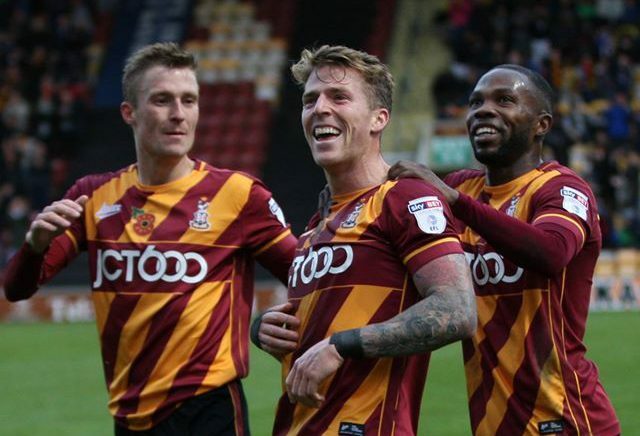 Millwall have a relatively straightforward home game with Oxford – although if the Us play as well as they did at Valley Parade last Friday they have a chance of taking points. Fleetwood now have a great chance of catching Bolton, so will be keeping a keen eye on how the Trotters fare from a trip to another struggling side, Port Vale. City can technically still overtake both sides and finish second, but it’s highly implausible after Monday. One thing that is clear is that no one promotion contender has a kinder-looking fixture than City. We would not swap our game with anyone else’s. AFC Wimbledon cannot be promoted or relegated, but they do have one very special incentive to end the season well. 15 years after they were re-formed and started again in the ninth-tier of English football, the Dons could finish above the club who so controversially stole their identity – the MK Dons. With two rounds to play, Wimbledon are two points behind MK, who are enjoying a decent end of season run of form. AFC recently defeated MK at the Kingsmeadow Stadium in a game full of symbolism, and finishing above them would cap off a good first season in League One. The Dons have only won one of their last seven fixtures, and are winless on the road since turning over Scunthorpe United at the end of February. Their away record isn’t bad though, with only seven defeats on the road. The pre-match debate: which members of the current squad do you think could flourish in the Championship? “I think it might be a step too far for Vincelot and Marshall. Vincelot didn’t really cut it during his spell at Brighton in the Championship a few years back (when he was probably at the right age for pushing on his career at that level). Marshall is a good lower league winger, but at the age of 29, I’m not sure he will improve any further. “I think Marshall could make it (and would certainly deserve a shot), alongside Wyke, Jones, McMahon, Meredith and (controversially perhaps) Doyle, who might be a reasonably cheap option to allow money to be spent elsewhere in the squad. “I’m not convinced that Cullen’s performances against the better teams in League One have done him too much credit thus far, but as he’s likely to go to a Championship club next, he’d be worth a shout as he matures – especially if someone else is subsidising his wages. “Cullen, Wyke and Vincelot for me. Possibly Marshall if he can keep his form up. From what I saw of Alex Gilliead and the fact that Barnsley are rumoured to be interested in him then maybe him too. Kilgallon has the pedigree too although we didn’t really see enough of him to be sure. Meredith definitely from an attacking perspective but I’m not sure defensively. “Alarming lack of Rory McArdle mentions on this thread. Not sure what more he can do at this level, and never had a chance above. Same goes for Meredith. Also regardless of the Moneyballing Tim Penfold types, there is definitely merit in keeping a strong core together even if not the best players available – see Bournemouth’s backline. “There can sometimes be good reasons why players have not had a chance at the level above. Most of our players will at some point over the past few years by Championship scouts. They cannot have seen any obvious indicators that the step up can easily be made (or that a player would flourish) as we haven’t really had that much speculation about our players going to a higher level – even the Meredith speculation didn’t really go anywhere. “I think the lack of McArdle mentions are completely understandable – whilst he has been a fantastic player for City, we know he has his limitations. Now that isn’t to say he wouldn’t do a Jacobs and flourish at a higher level but he isn’t really an obvious candidate for doing so. As Tim mentioned, we have quite a few players in that 29 year old bracket. They are unlikely to get that much better as players. If City fail to better Scunthorpe or Fleetwood’s result, they can effectively wave goodbye to their hopes of a play off semi final second leg at Valley Parade. Scunthorpe’s final game is at home to bottom club, and already relegated, Coventry, and Fleetwood sign off the league season with a home game against Port Vale. If neither side drops points on Saturday, we might as well start selling tickets for a Thursday night first leg play off at Valley Parade. In a side looking to be solid and maintain there Championship position then I don’t think Darby should be overlooked. We are not going to dominate possession the way we have in this league and someone like Darby could be a great asset. Alas, I do think he will be leaving in the summer so we won’t find out. Any chance of Reece Burke coming home too? Obviously he has stalled a little this year with injuries so West Ham may want him back in the Championship (if they’re not there themselves). I think he’d be very much a McCall player too. Also to consider is how to define ‘Championship class”. Is it players who can help us finish just above the relegation zone? Or players who can help us finish at least mid-table? I think the players mentioned could help us stay up if we strengthened in other areas but you’d hope that they could gel quickly or it could be a really tough start. Not just that but the players around them. So is Vincelot good enough for the Championship – well 11 players of Vincelot’s ability probably not but could Vincelot be one of our weaker players good enough with better players around him in the Championship. Realistically in cases such Dieng/Vincelot keeping in mind numbers and budget it would be one or the other. Would they consider the younger option or the experienced head as we’d also have Devine. City will finish fourth..following our own wins in the last 2 matches we will reside on 81 pts..behind Fleetwood on 82 pts and Bolton on 84 pts..behind will sit Scunthorpe, 80 pts, Millwall on 74pts and Southend on 73pts..so Millwall v Fleetwood & Scunthorpe v City on 4th May with the reverse on the 7th… Wembley 20th :- City v Fleetwood…City promoted!